So often, I am crippled by fear of failing. I want to do the right thing so bad, but sometimes I don’t know what that “right thing” is. Days like these, I think if all the college students I’ve ever mentored could gather in a room, sit me down, and tell me everything I’ve ever passed onto them, it would be extremely beneficial. Should I get a summer job or go on a missions trip? Should I go to this university or that one? In college, everyone want’s to know what God’s will is for their life. And you know what? There is honor in that! I am so proud of every young woman who sits down over coffee with me, agonizing over the potential choices in her life. Because she (usually) wants to do the right thing. She just can’t discern between the choices in front of her. Last month, I felt the exact same way. I needed to make a decision about the birth of our twins: to induce or wait and have a c-section. Neither of these options were a part of the plan for these babies. I visualized going into labor spontaneously during my 37 week. It’s what we prayed for. It’s what the doctors said needed to happen, in order to avoid induction. It didn’t happen. I wasn’t not surprised, because God isn’t required to answer my prayers. I trusted there was a reason none of my natural induction methods worked. In other words, as long as neither option is an outright sin, you have some freedom to make your own decision. What you choose is not going to thwart the ultimate will of God in your life. I believe God has all power and will, but I also believe He gives us freedom to make choices. In those choices, He works out His best for us: to sanctify us (cleanse and shape us) to look more like His Son. We cannot fail when the main goal is to honor God in the choice, not make the best choice. What choices are you facing today? Like the ladies I am so blessed to mentor, are you sorting through life-goals to define your major? Or, like me, are you contemplating your options for parenting, sleep-training, discipline, and to child-care/not to child-care? Do you have 2 job offers, 3 roommate applicants, 4 weeks free in the summer, or a nice guy who charged through your at-last-I’m-content-being-single life? 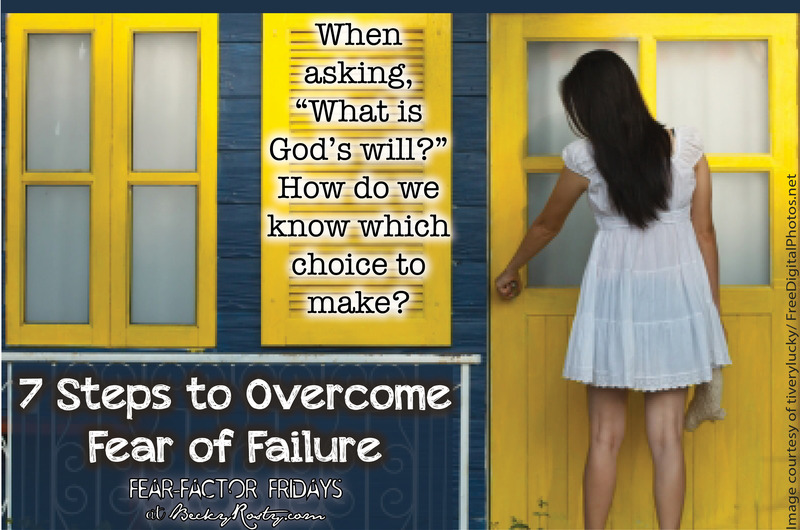 What choice have you made or will make that you can wholeheartedly do to the glory of God?